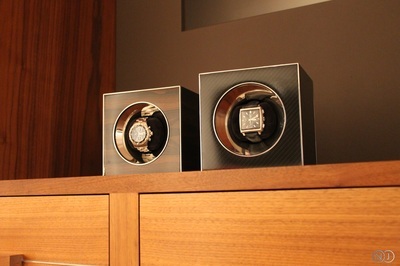 A beautiful watch deserves a beautiful home. Neal Jones Watch Modules are inspired by the fine craftsmanship, engineering and design of luxury watches and allow you to display your own watch securely. Each module is hand crafted, with a viewing bezel and black suede cushion. 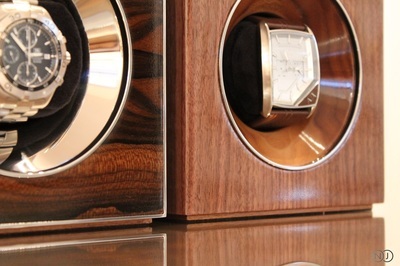 Preserve the rarity of your watch module by choosing from a range of materials and finishes. 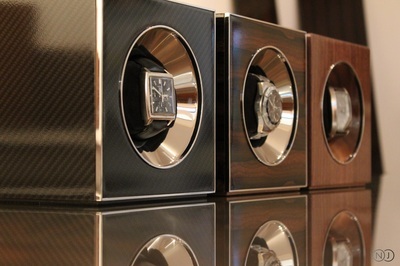 Popular materials for the body of the module include Walnut, Ziricote, Macassar Ebony and Carbon Fibre. 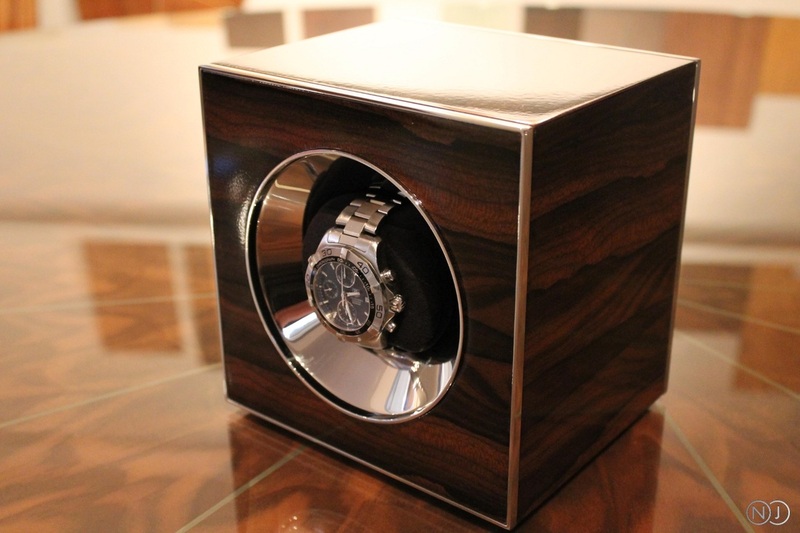 Add lacquered front and rear panels, hand polished stainless steel corner and display cone trims, a stainless steel bezel, rounded corners and an engraved nickel plate with a personal message at your preference. ​Optionally you can add a winding mechanism to your module. 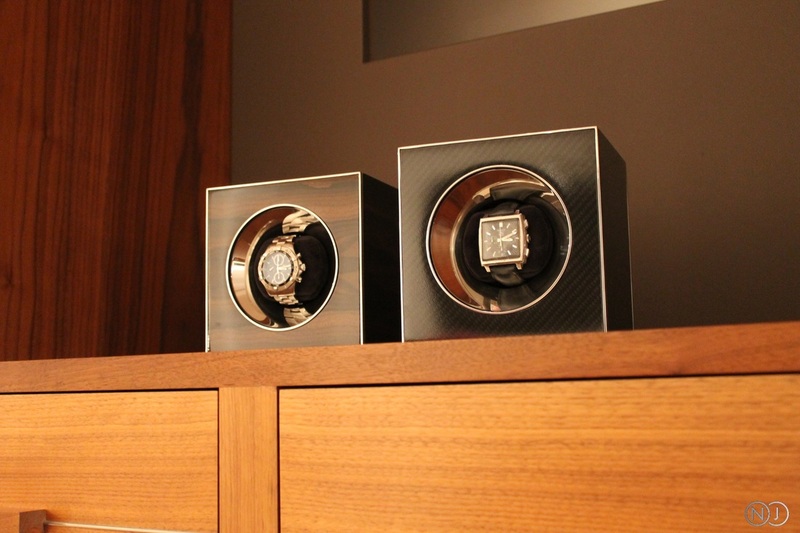 A high quality German watch winder will be hidden within the module and activated / deactivated by a small switch at the back. 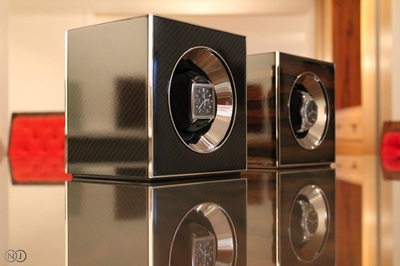 The winder is exceptionally quiet and can be programmed with a variety of functions. 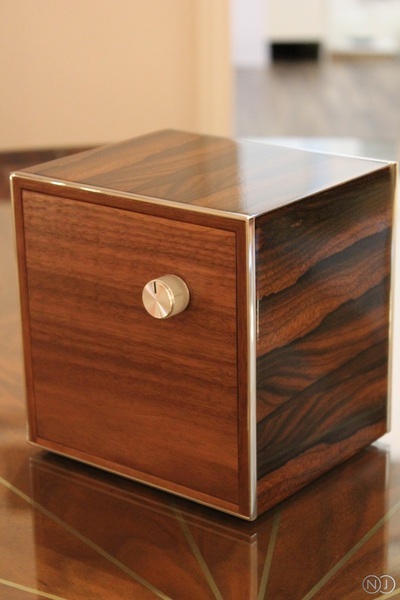 Winders are battery powered and are easily accessible through removal of the rear panel. 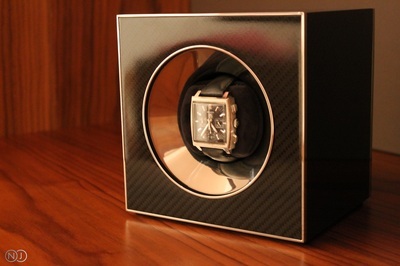 The Neal Jones Watch Module is priced from £1,800 (including VAT). For non-standard and customised commissions, please contact us. 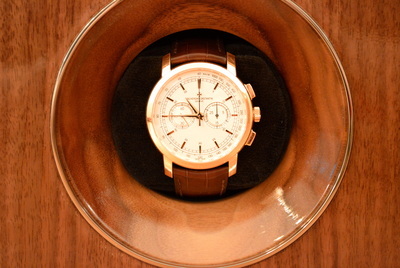 Available for immediate shipping, subject to stock and requirements.